“In Harm’s Way” investigation featured segment on PBS program, Expose. This week we were lucky to have the opportunity to hear from two different experts – one from the perspective journalism and the other from public health. Lise Olsen, investigative reporter for the Houston Chronicle joined us virtually on Monday to talk with us about her work on several news stories she has done related to covering the environment. In particular, she shared with us her experiences in working on the “In Harm’s Way,” report done in 2005 by Dina Cappiello, former reporter for the Houston Chronicle, that examined the air quality in four different areas in Texas. It’s a great investigative story and it shows how the newspaper used sensors to measure air quality in specific areas of Texas. The impact of the story had far-reaching impacts for the community. Dr. Quintana presenting findings from her latest research about air quality along the border. On Wednesday, we had Dr. Penelope (Jenny) Quintana, professor in the Graduate School of Public Health visit with us and share her research findings on the public health effects of air pollution on vulnerable populations along the U.S.-Mexico border. In particular, she presented findings from her recent study that explored air pollution near the San Ysidro border and its effect on the people who cross the border and live in the surrounding communities near the border. Overall we learned this week that air quality can impact an individual’s well-being. For example, particle pollution can lead to breathing issues, asthma and in some cases, lung cancer. Nex t week, we will be exploring the Science of Winds with Kevin Robinson and Data 101 with Joe Yerardi, reporter of inewsource. 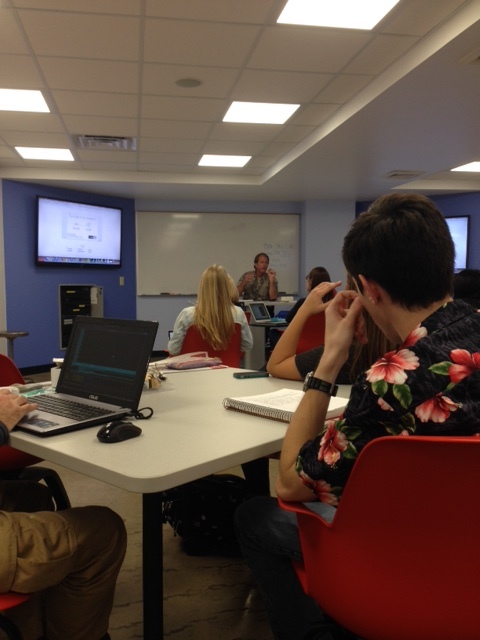 Well we had another exciting week in our sensor journalism class! This week we covered the important aspect of ethics when using sensors for news gathering and reporting. The recent Tow Report on Sensor Journalism has a great section on the ethics of sensor journalism and served as our reading and point of discussion this week. On Wednesday, we had the thrill to do a Google Hangout with sensor guru and Senior Editor for Data News for WNYC, John Keefe. He gave a great talk (you can check out his short presentation here) about the ways in which he has used sensors in his work at WNYC and his work with Team Blinky. We had time for Q&A and were able to get some new insights and advice on our sensors, calibration, and the challenges with reporting with sensors. It was a thrilling week! Next week we will have Lise Olsen, investigative reporter for The Houston Chronicle join us for a virtual chat on her data work on environmental news stories and Dr. Penelope Quintana, professor in the Graduate School of Public Health at SDSU to share with us her research on air quality. Kevin Robinson giving some geology pointers to the class. We also continued with our air quality observations. The students shared their experiences in placing their sensors in and around San Diego. We had the opportunity to make some informal observations on the campus as well. Next week we have a virtual chat with sensor guru and Senior Editor for Data News for WNYC, John Keefe. We are looking forward to getting his advice and insight! More updates to come! And we are off the races! 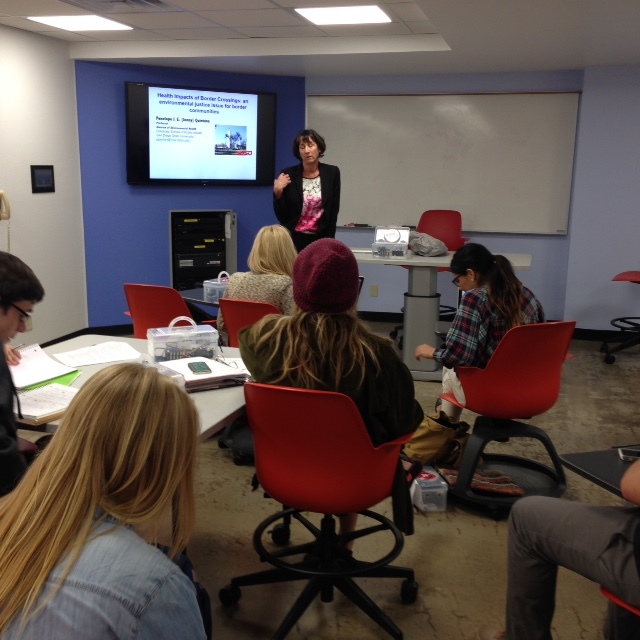 We have launched our sensor journalism class this spring at San Diego State. 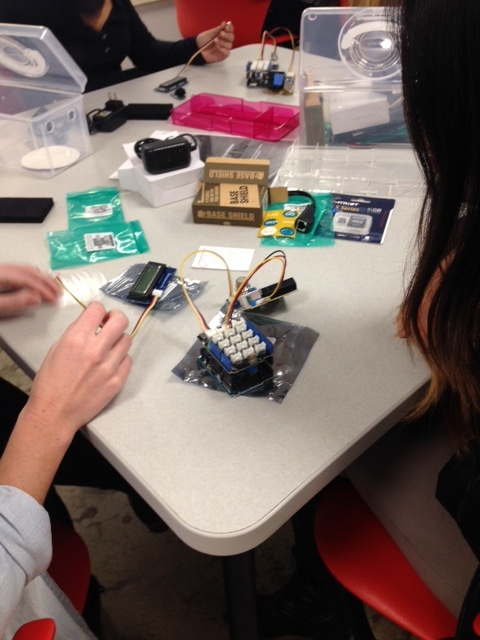 We have an amazing bunch of students in the class who are excited to get into storytelling with their sensors. Sensor kit components for sensor journalism class. These past two weeks we spent time building the sensor kits and conducting informal observations with the sensors. We have had some interesting discussions already about the possibilities and challenges of open-source sensor technology, air quality in San Diego and the science behind PM 2.5. If you want to know more what we are doing this semester, check out the syllabus I have uploaded available from the navigation above. We have an exciting journey ahead!